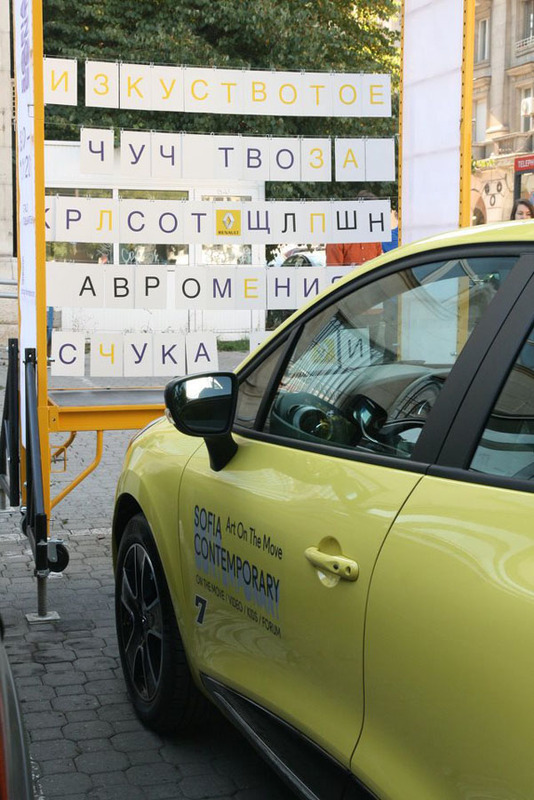 Between 19.10 and 9.11.2012, we were pleased to take part in the new, but quickly gaining popularity festival for contemporary art Sofia Contemporary. We were asked to design and build a temporary stop for an art taxi, serving for the transportation of the participants and guests of the event. 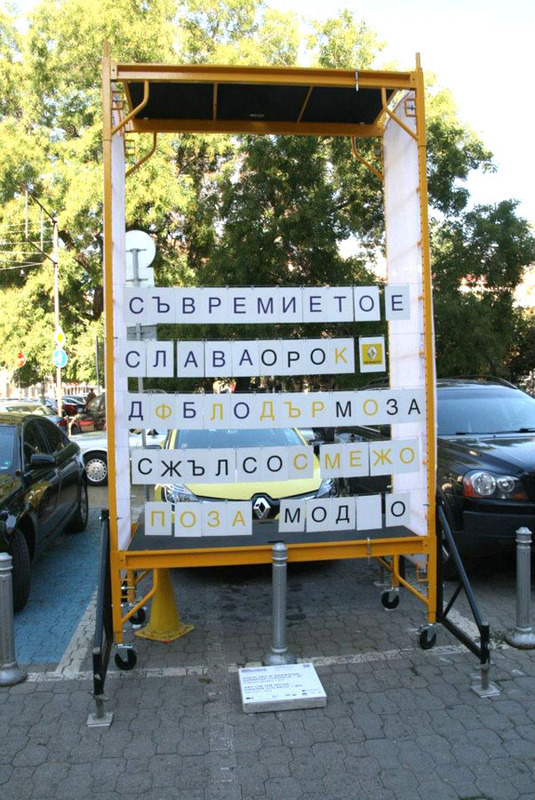 This brief instigated an investigation and careful analysis into the problems of conventional bus stops in Sofia. Thus, after a major rethink, we decided to create a unique prototype, which would hopefully serve in future as a model and inspiration when designing new permanent urban furniture. In our vision, this would be a homely and artistic place, where people would be able to freely express themselves and to participate in a spontaneous dialogue and leave messages without littering the surrounding environment. The temporary stop was constructed out of a single module of scaffolding sized 90/200/425 cm and nearly 200 white plastic plates attached via metal rings to tensioned thin metal cords. Letters were printed on each of the plates so that the people waiting for the art taxi could rearrange the symbols leaving their unique message.